Last November, two Bucks County women were arrested for hacking into the Bucks County Community College computer system to change theirs and other students’ grades. 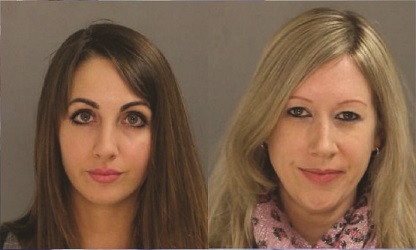 The two women arrested were Kelly Margaret Marryott, a 37-year-old from Yardley employed at a medical office and Aleisha Morosco, a 30-year-old part-time student at Bucks from New Hope. Marryott used her position at a doctor’s office to gain personal information about a professor at Bucks and was able to pass the information to Morosco. Morosco then used that information to access the Bucks computer system to change her grades for her Microbiology class, along with other students’ grades as well. Morosco and Marryott were both arrested back in November and had bail set for $40,000 which they were able to post. Marryott went to trial on March 29, 2018 and her case was presented before Honorable Michael W. Petrucci of the Bucks County Court of Common Pleas. She was charged with six different counts, including fraud, conspiracy, identity theft, and illegal use of a computer. For each of the charges, Marryott was to complete 200 hours of community service over a period of 24 weeks and was not allowed to be in any form of contact with the college. The charges against Marryott were later changed to misdemeanor charges instead of federal charges. Court records show that Marryott paid $242 in expungement fees, which gives her the ability to rejoin the workforce. Morosco was set to go to trial on March 5, 2018, but the trial was cancelled. However, she did attend an ARD court, which is for non-violent offenders with no prior or they have a limited record, on March 20, 2018. Like Marryott’s case, Morosco had the same charges filed with Judge Petrucci presiding over the case. For each of the charges, Morosco was to complete 100 hours of community service over a period of 12 months. The charges against Moroso were also changed to misdemeanor charges instead of federal charges. Court records show that Morosco, like Marryott, paid $242 in expungement fees. Both of the women received no jail time. Marryott and Morosco’s cases have since been adjudicated.